Werk.nl is the job board and resume database of UWV. On werk.nl insert free your job are you looking for suitable candidates for your jobs. Werk.nl brings job seekers and employers together. When posting a job or searching for CVs on werk.nl you must adhere to certain rules. Summary: Werk, a kind of governmental job board in the Netherlands, was created in 2006 to support the UWV website, which is the employee insurance agency. That’s why all their social media links actually lead to UWV pages: 34 200 followers on Twitter and 16 646 on Facebook. The website is very popular: 2.10 million visits are recorded each month by Similarweb. In fact, it’s the second most popular job board in the country. As a UWV branch, the staff are not available on public holidays or outside of public service working hours. That doesn’t stop them from being efficient though. Design: Werk’s focus is on information. For that reason, the layout isn’t quite as attractive as other job boards: no large images or marketing strategies to attract recruiters and jobseekers. The website doesn’t even offer any language options or a search engine on the homepage. This is because most people turn to Werk for more than just job offers. The homepage explains how to use the website, how to upload a CV or advertise for a position and it also has links to articles and events. To see the job listing, you need to click on vacancies and then search. The lack of visuals continues, as there are no logos in the job offers, but you can narrow down your search with the filters (the industry, the education level, the daily working hours, the type of contract, the licence, the language, remote/office work). Before opening an offer, you can see the useful information given by employers (the pay, the hours, the location, the contract, etc.). The job board objective: Werk works hand in hand with UWV to give jobseekers and recruiters relevant information on how to apply and/or recruit in the Netherlands. Recruiter observations: More than 450 000 CVs are online. To activate your account, you need a tax number. The website then sends an activation code to the company within the next three working days. Jobseeker observations: You can request unemployment pay through the website with a DigID. Depending on the application options, you don’t need an account (if you can apply via a different e-mail address, a form or by phone). To create an account though, you’ll need your DigID. For that, you’ll need your citizen ID. The job offers: There are 121 944 job offers. Most of them are for construction, manufacturing, customer service and distribution jobs. Special features: The many tests (in Dutch); the news (in Dutch); advice on starting a business; online courses; the information on the labour market; the events; the press releases; the legal information; the WerkBlad magazine; the Perspectief website; advise on different aspects of the job search. Verdict: Werk is an essential part of the job search in the Netherlands. However, it can be difficult for foreigner users to actually create an account or post an advert, if they are not already in the country. Login here for FREE to unlock access to the traffic audience, content and pricing section for more information on Werk. Job fairs, information days and other events. News about werk.nl, UWV and the labor market. 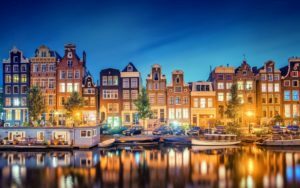 How to recruit in the Netherlands?